The second race of the season produced another Williams 1-2, although the order was reversed with Carlos Reutemann taking the win from team-mate and defending champion Alan Jones. The result only served to further expand the divide between the two men, never close at the best of times. Jones was the No. 1 and as such expected Reutemann to give way, but after a superb drive in tough conditions, he was in no mood to hand over a hard-fought lead. On lap 56 the Williams team hung out a board that said "JONES-REUT" and reminded the Argentine of his place in the team's pecking order. He responded, not by relinquishing his lead but by setting the fastest lap of the race. 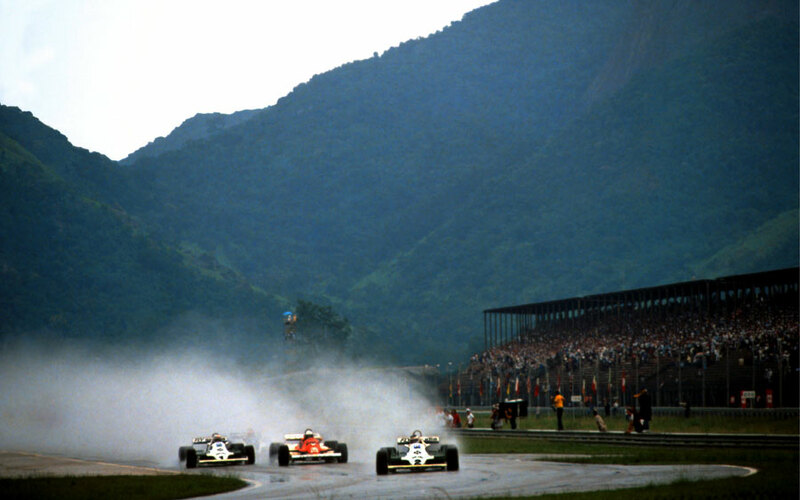 Jones waited for the signal from Reutemann to pass rather than get involved in a battle. The signal never came and Reutemann came home the winner. Jones was furious and realised that it was every man for himself. He had led from the start, helped in part by pole-sitter Nelson Piquet starting on slicks which was the wrong decision, and as a result he suffered major wheelspin at the start and dropped back to 17th after three laps. Conditions in light drizzle were so poor that a string of minor collisions dogged the opening laps. Best of the rest in third was the Arrows of Riccardo Patrese while the Ensign team had a rare hurrah in fourth place as Marc Surer brought the car home ahead of the Lotus of Elio de Angelis. Lotus was again embroiled in a row. While its new model Lotus 88 had been barred from competing at Long Beach, it had subsequently been cleared by a US court as being legal. But in Brazil stewards again black flagged it and it emerged the court ruling did not apply outside America. "It's a brilliant idea," a Lotus official said. "So brilliant it's scared everyone else."